NAIROBI, Kenya, Feb 22 2018 (IPS) - In the absence of concerted efforts to raise awareness on the dangers of aflatoxin to humans and domestic animals, advances in technology for early detection of aflatoxin in cereals and seeds such as maize will come to naught, experts warn. 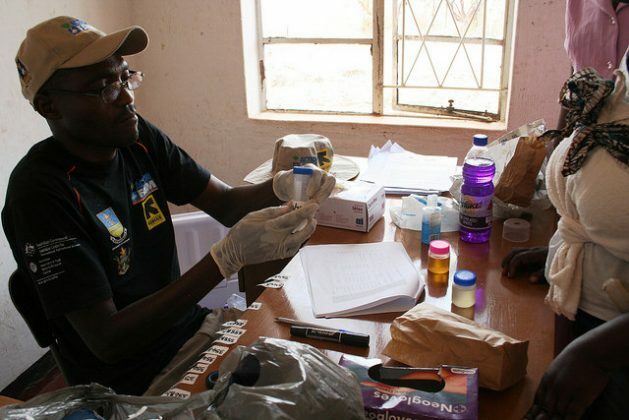 The first rapid aflatoxin testing kit is in the market for less than two dollars, even as some farmers unwittingly employ life-threatening tricks to earn a bit more from their harvests. John Cheruiyot, a maize farmer in Uasin Gishu County, Rift Valley region revealed to IPS that farmers pour water on maize post-harvest to manipulate its weight in order to dupe buyers into paying more than the grains are worth. “Maize is sold based on kilograms and so by pouring water on the maize after harvesting and drying it later, when taken to the weighing scale, the maize will weigh more,” he explains. 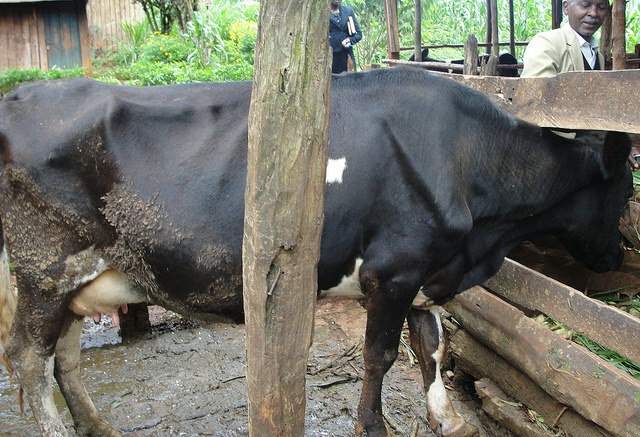 It is not the loss of a few thousands shillings in manipulated weight that has stakeholders in the ministry of health, ministry of agriculture as well as food security experts at the Food and Agriculture Organization of the United Nations (FAO) concerned, but the real threat of deadly aflatoxin poisoning from such high moisture levels. According to FAO, aflatoxin contamination can occur when there are high moisture levels during storage and transportation of grain, particularly if not dried to the right moisture levels of about 13 percent. Collins Omondi, a researcher at the Egerton University Department of Biochemistry, explains that aflatoxins are highly toxic carcinogens that derive from certain molds, and may cause immune-system suppression, retarded growth, liver disease and even death. “In maize, for instance, which is a staple food, aflatoxins occur on the farm through fungus containing high toxins in the soil, when there is insect damage, poor harvesting practices as well poor storage,” he told IPS. He added that in the first three months of grain storage, rural households lose 10 to 20 percent of grains, and the losses can go up to 50 percent after six months. It is within this context that experts such as Omondi are encouraging farmers to embrace the first kit to detect aflatoxin on location before the grains enter the market. The kit can detect contamination in less than 15 minutes and is easy to use as it is based on the strip test such as those used to detect the HIV virus or glucose in human blood. While this technology has been lauded as a step in the right direction towards combating the aflatoxin menace in this East African country – with the most severe aflatoxin poisoning outbreak recorded in 2004, when 317 cases were reported by July of that year with a fatality rate of about 39 percent – very low levels of awareness persist on aflatoxin and its prevention. FAO recently held training workshops in collaboration with the national and county governments of Nandi, Uasin Gishu and Trans Nzoia Counties on prevention of aflatoxins. This was done through the ministry of health as well as the ministry of agriculture with the three counties chosen because they are the country’s grain basket. Focusing on Future of Food: What’s Next for Global Agricultural Research? FAO cautions that the deficit in agricultural extension officers continues to frustrate efforts to empower farmers with information on how to embrace better harvesting and storage practices to effectively address the real threat of aflatoxin poisoning. While FAO has recommended one extension officer for every 400 farmers, figures from the ministry of agriculture show that one extension officer caters for at least 1,500 farmers. According to the ministry of agriculture, approximately 70 percent of local maize is informally traded at the village level by subsistence farmers. This poses a significant threat since maize is grown by at least 90 percent of the rural farm households. FAO estimates that 25 percent of all crops in the world are affected by aflatoxin, placing millions of people and domestic animals at risk of significant health problems and even death. Experts such as veterinary epidemiologist Johanna Lindahl say that domestic animals that feed on grains contaminated by aflatoxins produce products such as milk and meat that are also contaminated with aflatoxin. “Kenya is a hotspot for aflatoxin contamination, especially in maize, and farmers, traders and the general public need to be educated on the danger of aflatoxins. This will increase the use of the testing kit which does not require technical skills in testing and interpreting outcomes,” explains Lindahl. The most recent major incident of aflatoxin contamination was in 2014 when 155 metric tonnes of maize were destroyed. She emphasizes that the rapid aflatoxin test kit coupled with education on the dangers of aflatoxin will significantly contribute to the management and reduction of the entry of aflatoxins in the food value chain by critically improving diagnosis for local and export trade. Consequently, experts say that the food processing industry will maintain low exposure levels in food products for local markets, and continue to open regional as well as international markets that have largely remained hostile to countries such as Kenya, which is a hotspot for aflatoxins.